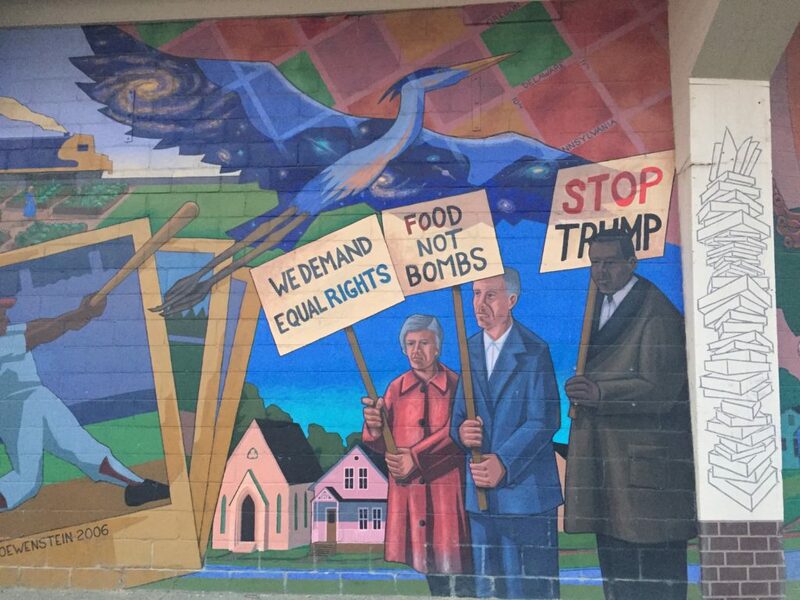 A mural in Lawrence’s Hobbs Park has been altered to reflect an anti-Donald Trump message, and an official says the Lawrence Parks and Recreation Department is not pleased. The mural, which stretches across the side of the park’s Municipal Stadium, depicts three figures carrying picket signs, among other imagery related to East Lawrence history. Parks and Recreation employees on Thursday, however, discovered that the text of one picket sign had recently been painted over, changing its message from “Save the Tree” to “Stop Trump,” and they’re not sure who did it — or why. “That’s not something we would give permission to do, and it’s not something that we’re happy about,” said Tim Laurent, the department’s recreation operations manager. 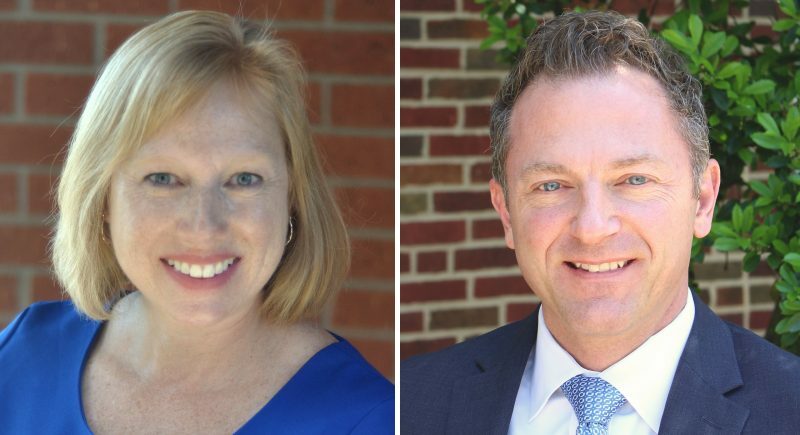 It’s a “new situation for us,” added Laurent, who said Parks and Rec employees were alerted to the incident Thursday afternoon after word began to circulate on social media. The mural’s lead artist, Dave Loewenstein, posted an Instagram photo of the altered mural earlier this week, but had deleted it sometime before 5 p.m. Thursday. His post didn’t identify who had painted over the mural or when, however. Painted by Loewenstein and some 30 helpers, “The East Lawrence Waltz” was unveiled at Hobbs Park in 2004. The Lawrence Journal-World wrote at the time that it was designed to capture the spirit of the community. Loewenstein did not immediately return a phone call from the Journal-World Thursday afternoon.